This webinar is intended for modelers, MEP modelers, MEP engineers, fire protection engineers, fire sprinkler system designers. This South Australian MEP contractor bought AGACAD’s Smart Hangers to do clash-free construction grade design work. They found the software not only does that extremely well, but also enables quick precision layout on site. Clients are happier and costs are lower with the elimination of a lot of rework. Smith brothers Group is one of South Australia’s largest plumbing and pipeline contractors. Innovation is key in its resolve to be No. 1 for service. That’s why BIM technologies are at the heart of the group’s design and engineering work. New projects required Smith brothers Group to place seismic hangers on pipework with construction grade (LOD 400) detail. They needed to place complex equipment in very limited overhead spaces and ensure a clash-free model. The solution had to be compatible with Autodesk® Revit® and support the incorporation of Trimble points for on-site positioning and layout. And the company always prefers innovative solutions that offer a competitive edge. This Nordic engineering firm says AGACAD’s BIM software has brought big efficiency gains for its precast concrete and wood framing projects, helped it win new clients, and enabled the company to handle more complex projects. JPS-Konsult AB, based in Vrigstad, Sweden, specializes in the design of precast concrete and wood-frame buildings, mainly for residential use. While upgrading itself from 2D to 3D design to be more modern and competitive in the market, JPS-Konsult ran into productivity issues with its new Autodesk® Revit® software. Revit required so much time-consuming manual work that the company was tempted to go back to AutoCAD®. “We tried to make shop drawings with plain Revit, and soon realized that there had to be a better way,” recalls CEO Johannes Svensson. So the firm began looking for ways to get all the great benefits of BIM for its precast concrete and timber projects but without having to waste so much valuable time. Specifically, it needed automated view layouts, dimensioning and material take-off, plus ways to quickly insert elements to achieve greater detailing. This functionality had to be easy to learn and use. Svensson says he did a major search and concluded that AGACAD had the most powerful solutions for his needs. It’s also the only one with a software portfolio broad enough to support both wood and concrete projects. WEBINAR: New Solution Announcement! 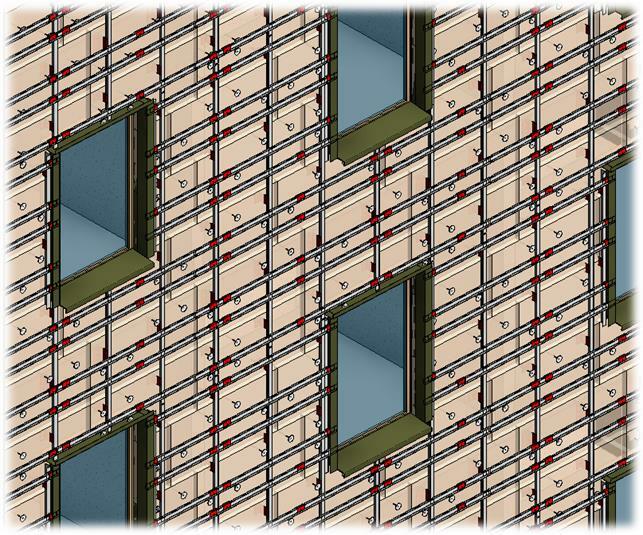 Ventilated Facades – Take your walls up to the next level in Revit! 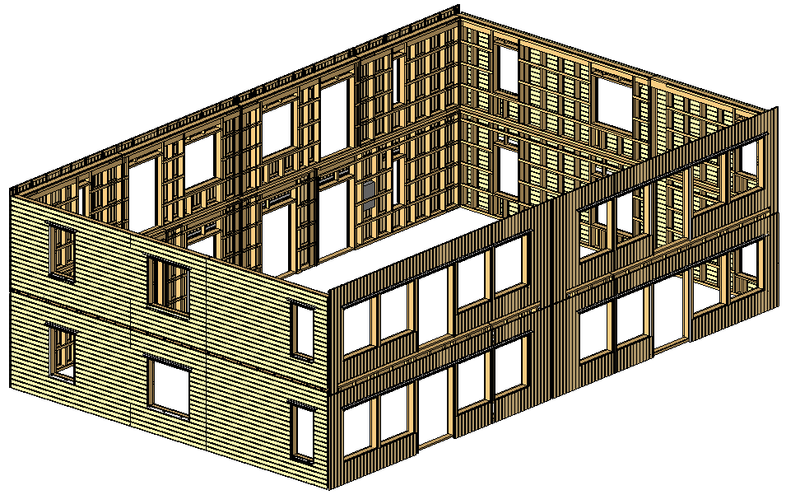 It’s now possible to model your ventilated facade project completely in Revit, from start to finish. And not only that, but to do it efficiently. The purpose of this presentation is to show you how! 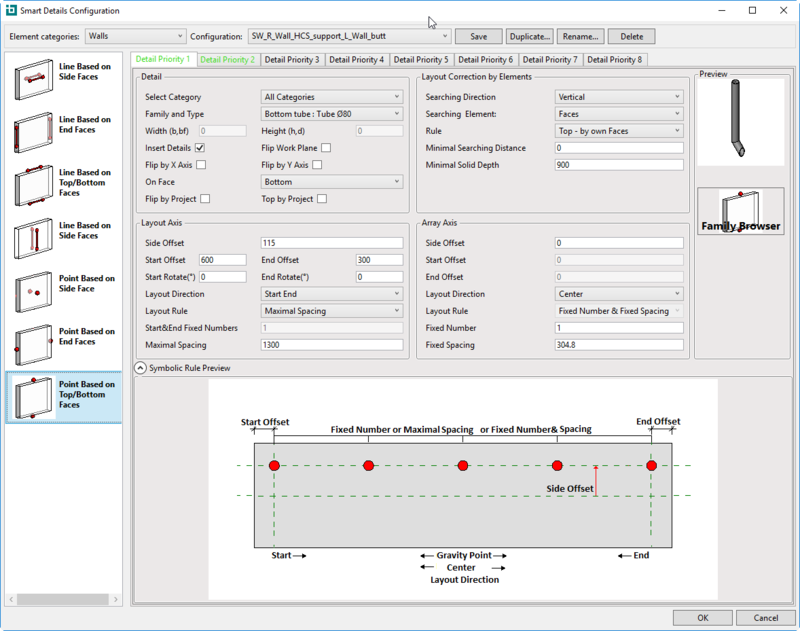 AGACAD has created new software for effectively designing of ventilated facades. VENTILATED FACADES makes it quick and easy to design high-quality ventilated facades in Revit® with automated real-time updates for project changes. That ensures you’ll get high-quality framing models, including hangers, fixings, brackets, etc. You’ll get accurate bills of materials, shop and fabrication drawings, and accurate on-site assembly thanks to BIM-to-Field features. You‘ll see in this webinar how our new solution successfully models ventilated facades. We’ll go through the process of creating ventilated wall layers, modifying and updating frames, and adding fixings, hangers, and fasteners. Come and see how you can model ventilated facades in no time! 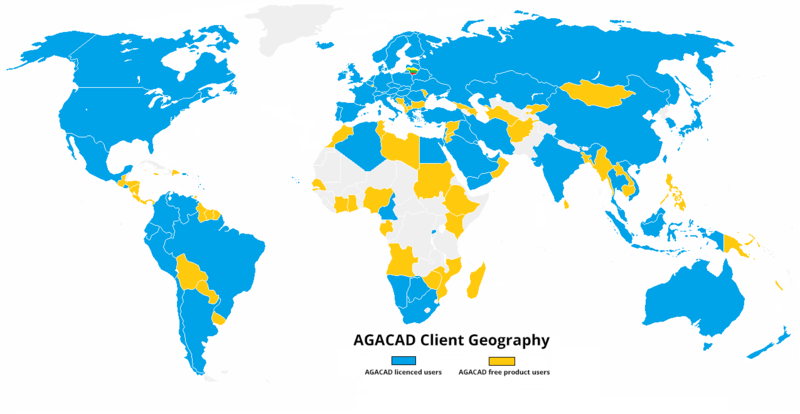 Big things can emerge from small places when there’s expertise, vision and drive: AGACAD Ltd is an example of that in the field of AEC technology. Based in the Baltic nation of Lithuania, a tech-savvy EU economy and international IT-service hub, the company is marking its 25th anniversary with rapid global growth. Life at AGACAD is always dynamic, and the past year was no exception. The company continued its international growth and constant innovation to secure ever greater BIM benefits for (and with) AEC leaders worldwide. Here are a few highlights of our work in 2016. 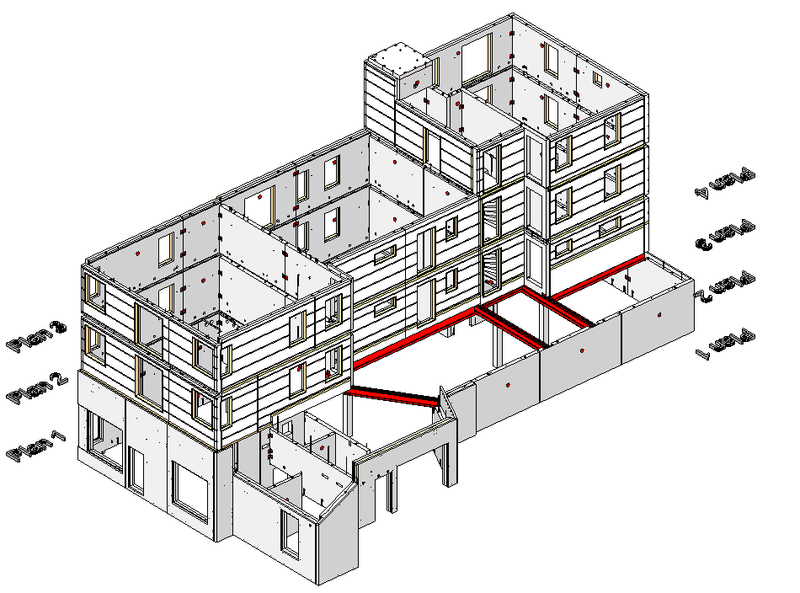 Would you like to begin and complete your precast project in Revit and at the same time do it efficiently? This webinar has been put together with you in mind! It was not long ago that we released Precast Concrete, and we’ve been developing it ever since. In order to better fit all our clients’ needs and cover more areas of precast modeling and documentation, we’ve made some major updates as well as some tweaks here and there. Now it looks like we’re approaching the final form of this professional solution. With its updated functionality and other significant modifications, Precast Concrete can tackle a variety of situations and follow the whole project life cycle. During this webinar, you‘ll see how our Precast Concrete solution solves common issues when it comes to modelling your precast concrete project. We’ll go through how to modify and update elements, cuts, and connections. 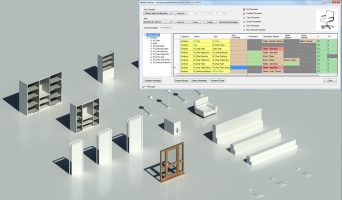 One of the highlights we’ll be showing is how to create assembly views with automatic dimensions and shop drawings. Please share this invitation with colleagues who could benefit from it. 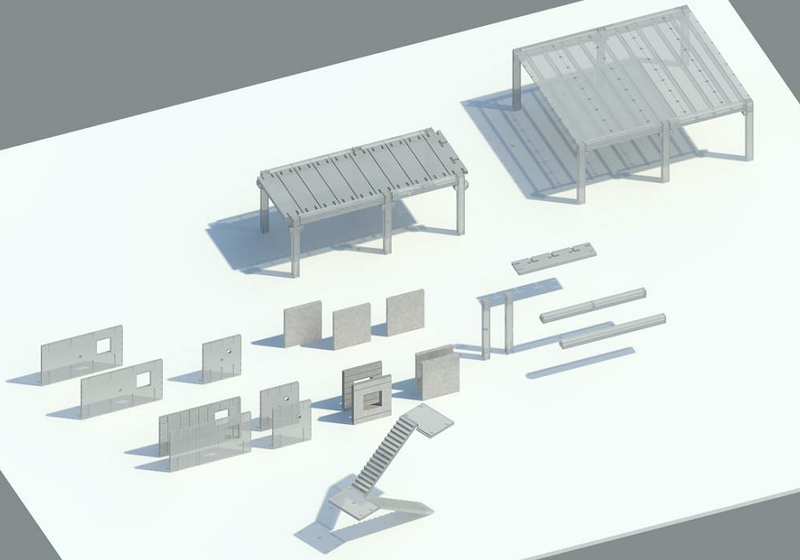 Modelling and preparing drawings are time-consuming processes with tons of repetitive tasks. If you want to see how can you get rid of most of them – please join the webinar! Is it hard to find what you need in your Revit® library? Tired of the tedious task of modifying types, materials, or parameters? Then, Smart Browser Manage could be just the solution for you. In this webinar, we’ll show how Smart Browser Manage helps you browse, sort, manage, and control your Revit® families with ease. Tune in to discover how this BIM solution can save up to 90% of the time required to modify Revit families. You’ll be the first to see the NEW FEATURES of this software's updated version. Thank you for being with us on our BIM journey. Happy Holidays! Thank you for being our clients and followers! To those who use our solutions and consulting - thank you. To those who have participated in our trainings and webinars – thank you. To those who have sparked new ideas for improvements in what we offer thus contributing to the further development of BIM tools for the benefit of the whole BIM community – thank you. Wherever you are in the world, we are grateful you are with us on our BIM journey. May the rapidly approaching new year be a happy one for you, your colleagues, and loved ones. We wish you an inspiring, joyful 2017 with time to treasure life's important moments. May hope and prosperity fill your soul and flow into all you create in the new year! The final week of our Christmas Promo has begun! 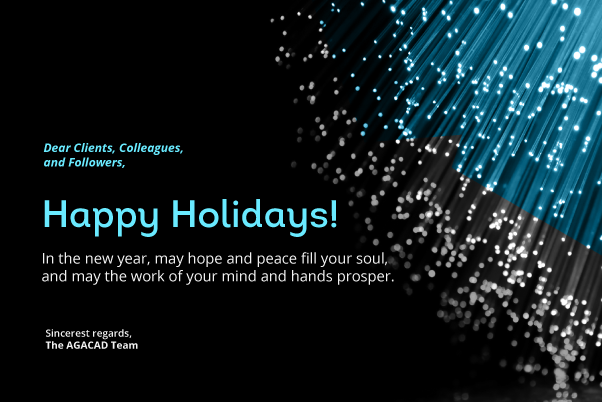 Thank you for giving us the chance to serve you throughout this past year, as we work together to make BIM better. We’d like to take this opportunity to remind you that there is now less than a week to go before our Christmas Promo wraps up on December 25th. By way of summary, we are offering 50% off the license price when you buy a perpetual license of individual BIM solutions. (Subscription and training must also be purchased.) Take advantage of this limited-time offer while it’s still valid!